Just like all things functional, the fanny pack has resurfaced in the fashion world. What caught on like a rage in the 80s and 90s disappeared without giving us closure. Even though athleisure and activewear brands still sold them, fanny packs were restricted to just that. But, some of us knew that it was about time these came back because functionality is subtly competing with style these days. So, yes, fanny packs have come back with a bang and are here to stay. Rightly influenced by the 80s, the vintage small belt bag or fanny pack from Gucci is all things compact, stylish, and functional. 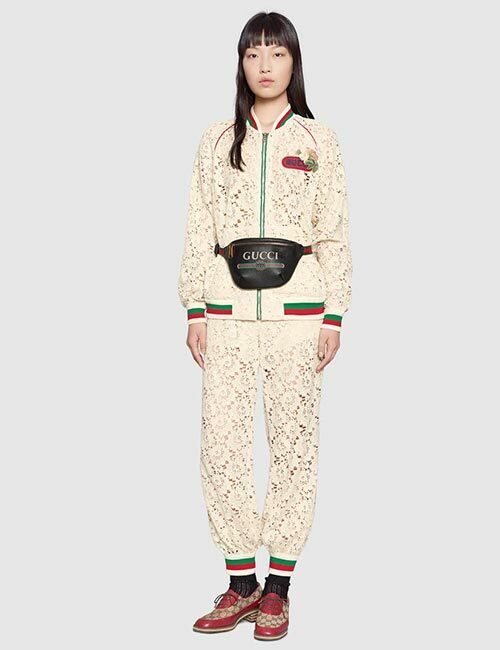 With the logo at the forefront, this Gucci fanny pack needs no other embellishment. 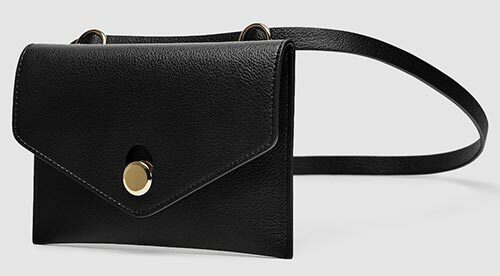 Made from supple and textured leather, this bag doubles up as a crossbody bag. Wear a faux leather fanny pack with a semi-formal attire like this one. Sport it with a pleated checkered skirt and a casual blazer. Choose unconventional noncolors like white and red to show everyone how it’s done without shying away from anything. Whether it is keeping it mellow or going all out with the monogram logo, LV knows it all and does it with elan. 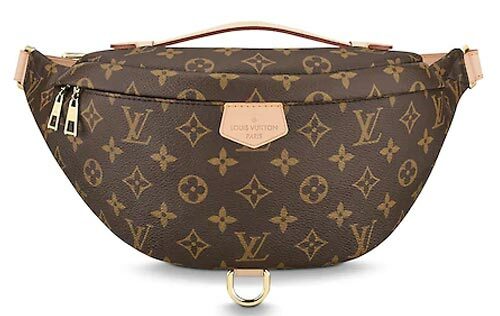 Here’s a Louis Vuitton fanny pack in their signature leather canvas that meets the bumbag style right in the middle of sporty and functional. 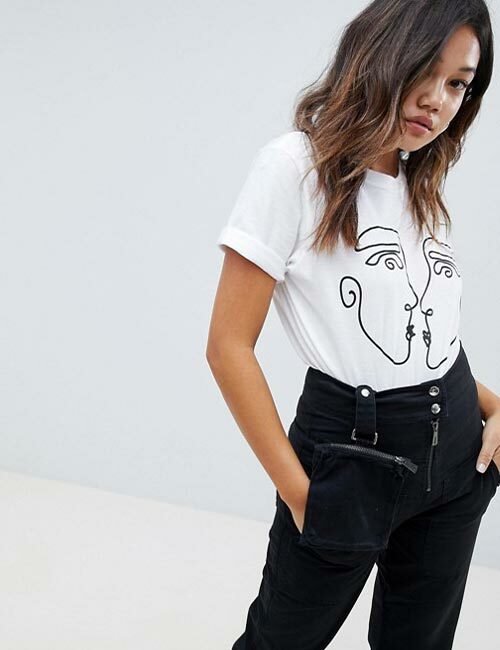 Wear it with a monochrome look and let the fanny pack stand out. Invest in an Alexander Wang fanny pack and style it in one of the three ways the bag boasts of. You can wear it like a crossbody bag, over your shoulder, or (of course) as a classic fanny pack. This black fanny pack comes with five compartments and is extremely functional. 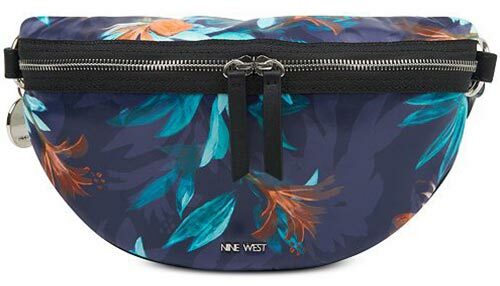 Look fancy and fun in this eye-catching fanny pack from Nine West. The next time you are headed for a hike on a nearby trail with your girl gang, or on a road trip with a family, you need something as alluring as this. It fits your bare essentials like keys, glasses, money card, chapstick, mint, and everything you cannot survive without. The vibrant color and the floral design looks incredibly chic with athleisure, balancing out femme with sporty. Give Zara anything, and they will churn out the most fashionable variant possible. 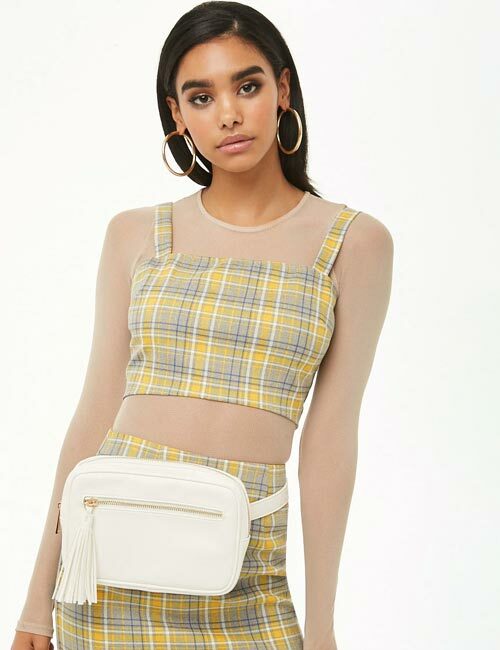 This quilted leather fanny pack can be used two ways, so when you are in the mood for a small side body bag or your attire demands it, you can easily turn it around. The lion hardware detailing on the flap and the magnetic clasp closure are the showstoppers on this one. FCUK is known for creating revolutionary and unique pieces, so much so that you can recognize an FCUK piece instantly. 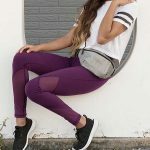 This pouch style fanny pack looks different, stylish, and like a fun piece of accessory on your body. Wear it with a T-shirt or shirt dress and let it pop. Finish your look with white shoes and look uber-chic. Up your hand-free accessory game with this pair of straight leg pants with a detachable fanny pack. You can clip it to your pants and not worry about anything else. This combo is extremely functional when you go on hikes or grocery shopping. The fanny pack fits all your essentials and, of course, looks stylish too. Puma is an activewear brand that is known for not just its athletic products but for bringing sports and lifestyle items together. This vibrant fanny pack is smart for indoors and handy for outdoors. It is also perfect for travel – stylish, contemporary, and utilitarian. 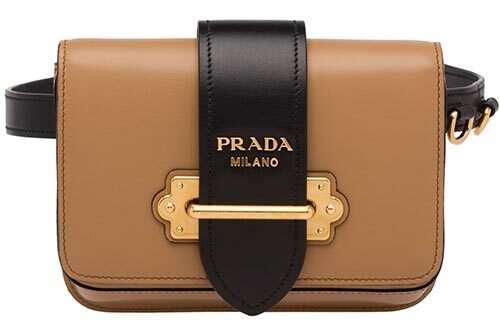 The Prada Cahier belt fanny pack is made from calf leather and is a great addition to your handbag collection. If you believe in collecting designer fanny packs, you should consider getting one of these. The bronze hardware detailing looks elegant on the beige background, and the black belts pop out in just the right proportions. You can’t not consider the Vere Verto Fanny Pack when you are looking for options. 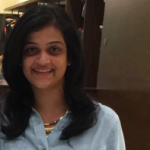 It is a discerning choice for women looking to stand out. The theme of the bag is ‘deconstructed,’ and it has been executed beautifully. The leather is supple and made using the highest quality leather from Spain. You can fit in all your essentials and segregate them too. 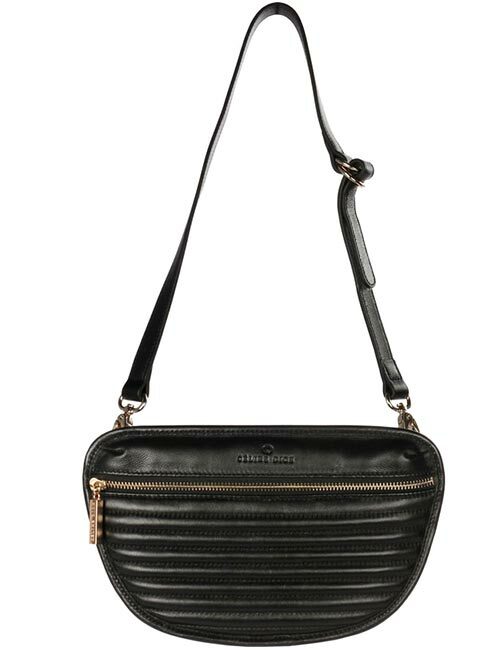 The Mini Pixie Belt Bag looks classy and sophisticated, unlike what we’d imagine when we think of fanny packs. 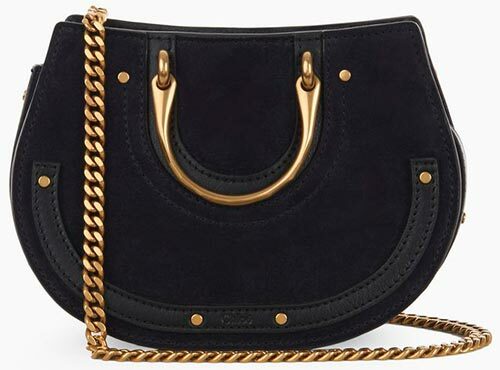 The suede bag makes you believe that everything can be classy if done right. The gold hardware makes it even more irresistible. Wear this over a formal pantsuit and look like you’ve got it all sorted. This fanny pack from Celine Dion is a perfect blend of style and couture. The simple yet appealing design looks great on both formal and informal attire. Imagine wearing boyfriend jeans with a boxy T-shirt tucked in, Converse shoes, and this. Envision it with a pair of cigarette pants, a tank top, and a blazer. Now, do you agree that the fanny pack is more than a hands-free tourist accessory? Celebrities, street style models, and influencers have all been sporting these with all kinds of attires – from athleisure to formal. So, at least now, you know that you are not alone. Do you swear by the fanny pack? Have you always used it no matter what anyone said? Let us know by dropping in a text in the comments section below.